Release Date: October 14th, 2016 – U.S.
Chris Wolff (Ben Affleck) is "supernatural" at crunching numbers and even more adept at crunching skulls. Companies bring him in to look over the books – he is, after all, "The Accountant" – but he's willing to get his hands dirty with more than just ink if necessary. He's also on the autism spectrum. This aspect of his character instantly elevates the film and makes it endlessly fascinating. I have no idea how accurate Ben Affleck's portrayal is – I'm no expert on autism – but it seems like a great performance to me. He dials down his natural charisma and charm without ever appearing robotic or losing his humanity. I'm surprised there hasn't been more of an "uproar" about the movie and this character from various "rights" groups. Portraying someone with autism as an efficient killing machine has to be controversial to someone, right? But I think the film earns goodwill and a free pass because the main character's autism isn't ever just a one-note gimmick. You see his quirks (parking a certain way every time – diagonally, a compulsion to finish everything he starts, his lack of sarcasm), his strengths (numbers, efficiency, shooting), and the drastic steps he takes to function in the world as a person with autism (a long routine involving loud music and bright lights – a sensory overload nightmare). It also helps that his past history is explored and explained in great detail. 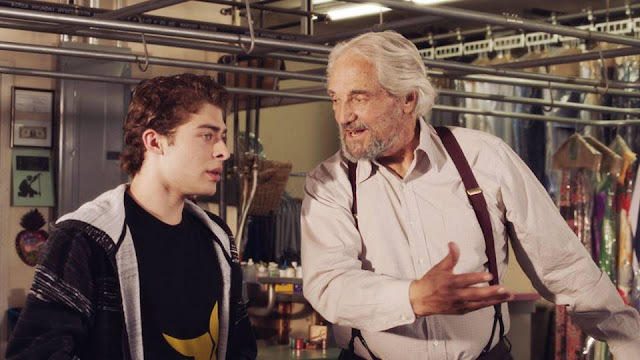 Chris's father (Robert C. Treveiler) realizes his son is "different" and forces him and his little brother (played as kids by Seth Lee and Jake Presley) to learn military-grade fighting techniques so they can eventually face the unforgiving world and defend themselves and each other if they have to. Again, whether this is plausible, I wouldn't know. Probably not, but it works for this particular story. After a stint in the military, Chris ends up in prison, where he is mentored by an older inmate (Jeffrey Tambor), who furthers his training in a different way – by teaching him social cues and other basic human nuances. Ray King (J.K. Simmons) is the head of the Treasury Department's Crime Enforcement Division. He recruits Medina (Cynthia Addai-Robinson) and strong-arms her taking a job as his assistant by revealing that he knows about her past criminal record. That information is supposed to be sealed, she points out with outrage, but King obviously has his ways. He needs her help, her tells her, in locating The Accountant. Meanwhile, a robotics firm run by Lamar Black (John Lithgow) hires Chris to inspect their finances. While there, he meets a pretty young co-worker, Dana (Anna Kendrick), who takes a liking to him despite his unorthodox demeanor. Brax (Jon Bernthal) is a dangerous hitman with an intense dislike for fraudulent corporate activity. Through various twists and turns, he soon finds himself pitted against Chris. All of these different characters and situations eventually come together in a frenzied finale. 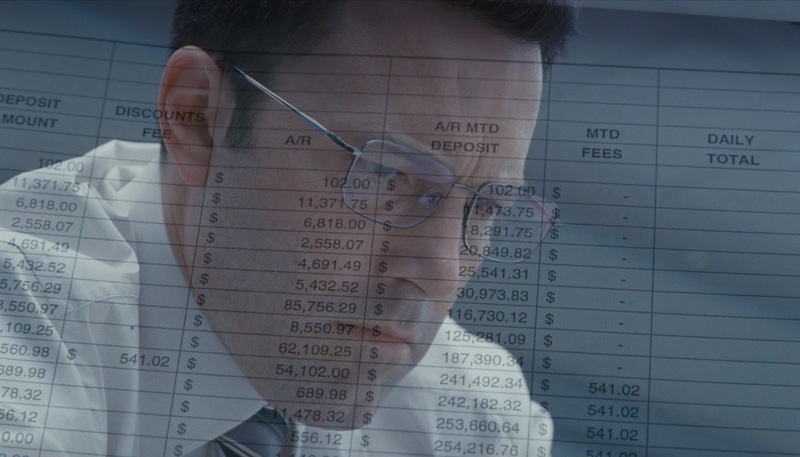 "The Accountant" is a great blend of action, drama, and even some very well-timed black humor that had the entire theater chuckling almost inappropriately. Good luck trying to explain the finer details of the story to anyone afterward, though. The plot can be convoluted and the film feels overlong, but it's also undeniably compelling to watch. That's primarily because of Ben Affleck. An "accountant" with autism is undoubtedly one of the most original and interesting characters I've come across in a very long time.